Naval Open Source INTelligence: Japan Named and Launched its 2nd Izumo Class Helicopter Destroyer DDH-184 "Kaga"
Japan Named and Launched its 2nd Izumo Class Helicopter Destroyer DDH-184 "Kaga"
Today, around 14:30 of August 27, 2015 (Thursday), Japan's Maritime Self-Defense Force (JMSDF) launched its second Izumo-class Helicopter Destroyer. 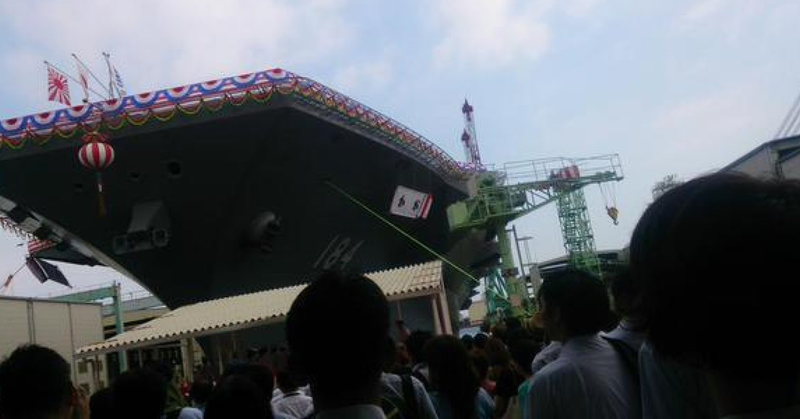 The vessel was officially name "Kaga" (hull number DDH-184) during the ceremony at the JMU Japan Marine United Corporation shipyard in Yokohama Isogo. Kaga was an aircraft carrier of the Imperial Japanese Navy, the third to enter service, named after the former Kaga Province in present-day Ishikawa Prefecture.